My Camera seems to focus correctly sometime but not always. If you are reading this now, you have probably entertained the idea that you might be doing something wrong. I will try to be as diplomatic as I can. Not knowing whether you are a newcomer to photography or a more experienced consumer camera user I will start with fundamentals. Be patient, you may already know many of the things I am going to suggest. The point and shoot camera was handed to someone else and they just looked into the viewfinder, saw two people and pressed the button. The picture is in focus at the very center where the trees are but the people are out of focus. 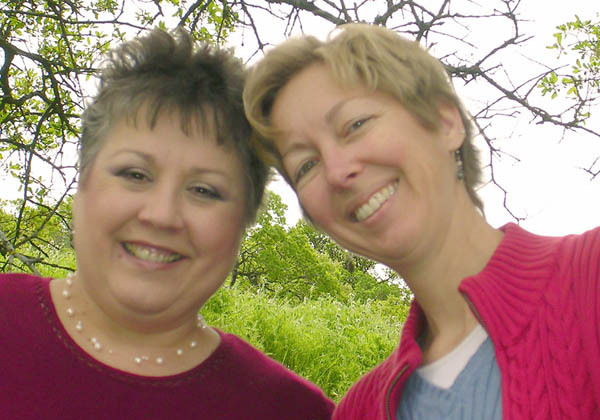 Some new point and shoot cameras have a special mode for taking pictures of two people. This same thing can happen to people who are learning about composition and are trying to apply the rule of thirds which places the point of interest off center. You have been instructed about getting a clear picture of the pocket target but the same technique will not work for real life conditions as mentioned above. The solution is simple but it needs to become automatic with every shot you take from here on out. The name I give this procedure is: “Focus and Frame” Digital film is cheap and you can check yourself immediately using “The Move”. I would suggest you do this at least 50 times to get the feel of how automatic it becomes. Your camera must be in AF-S mode. If your camera has no AF-S mode it most likely already behaves like it does. In AF-S mode, when the shutter button is half depressed the focus is locked on the active sensor. DSLR cameras have multiple sensors and I recommend that you use only the center sensor. 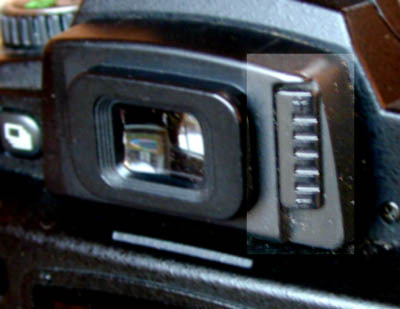 On the D70 camera there is a sliding switch just to the right of the viewing screen with a dot and an “L”. When in the L position the sensor selected will stay selected and not try to find another subject. 1 Set your zoom distance or position yourself to frame the picture you want to take. See it properly framed in the viewfinder. 2 Without moving or rotating your body, twist the camera in your hand so that the focus sensor rectangle is on the closest eye or principle point of focus for the picture. 3 Gently depress the shutter release button half way until you see (and hear) that object focus. 4 Return the camera angle to the original framed composition while still holding the shutter button half way down. 5 Depress the button fully and wait for the image to return in the viewfinder. That is it, “Focus and Frame”. You must become aware of when you focus and hold it until the picture is taken. If you let up your finger at any time before the picture is taken you will lose the focus reference. Sometimes children are moving rapidly and you may have to tap the shutter button and re-focus as the distance changes. The alternative is to use AF-C which will continuously correct the focus while holding the half position and you will have to crop away part of the picture to establish a desirable composition. This means you have to keep moving the camera to keep the focus sensor on the subject. You may be practicing Focus and Frame on flowers and insects, but not all your pictures are keepers. What is happening? You may already know that using a wide aperture makes a more attractive picture because you can control which items are more in focus due to short depth of field. Be aware of wind and how easily an object can go in and out of focus. Related to that is how well grounded you are when taking pictures of things near the ground. The time between focus and shoot should be short to preclude that fact that you are taking a breath or correcting your balance while squatting. I found myself swaying forward a great deal while photographing honey bees from a half squatting position. Which brings up the next subject. Almost any photography teacher is going to recommend using a tripod to increase your percentage of keepers. There are several ways this will help you. 1 The clumsiness of handling the tripod will make you think more about your composition before you set up. 2 You are less likely to move the camera during the exposure. Camera movement ranks high on the bad picture list. 3 You will take a little more time to level your camera and consider your exposure before shooting. 4 You can manually focus or auto focus and then turn off auto focus if the scene is not changing. Why is manual focus so difficult? Because auto focus is so easy. Trite but true. Cameras all used to be focused manually. In order to make things easy the manufacturers added features to the SLR viewing screens to objectify correct focus. The most popular item was the split image view finder followed by the micro-prism focus aid. In the split image finder the focus screen had an area in the middle of the screen that had a wedge shaped prism facing left on the top side of the prism and facing right on the bottom side of the prism. If you looked at a vertical line through that part of the viewfinder you would see a slightly offset segment of the line when you were out of focus and a continuous line when focus was correct. The micro prism finder worked the same way but there were little pyramid prisms in the center circle which broke up the image into small parts unless it was perfectly focussed. The third choice was a gritty texture in a center circle of the viewfinder to give a reference surface to the image you were viewing through the lens. Not all cameras shared the image between the viewer and the film. There were also range finder cameras that used a series of offset prisms to triangulate two views and adjust the focus distance appropriately. It was very difficult to have a variety of different lenses for this type of camera. What we have now is a slightly textured screen holding liquid crystal display elements to remind us of where the focus and exposure sensors are on the image. 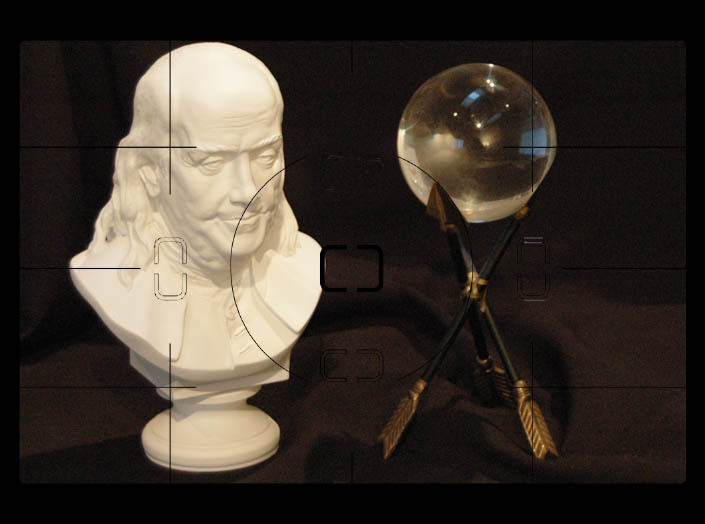 It is not possible to have a split image finder because of the electrical connections within the matte glass. In the days of Ansel Adams the photographer had a ground glass plate which represented the film plane when a film slide was inserted in the camera. He used an eye loupe that could be adjusted to see the texture of the ground glass. First he would adjust the lens of the eye loupe so he could see the texture of the rough side of the glass. Then he would adjust the lens of the camera until the image on the ground glass was sharp. Why ground glass? 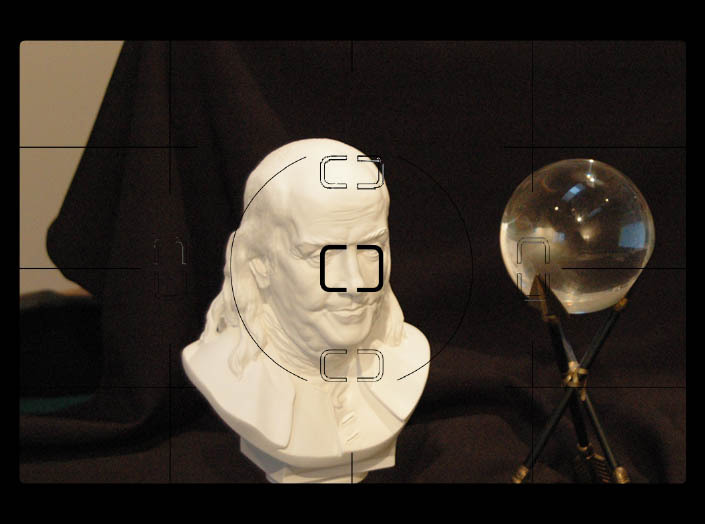 Because he was looking at two things at the same time, the image produced by the camera lens and the reference surface of the front of the glass. If the glass was missing or clear he would be looking through the camera lens and his loupe lens and the lens of his eyeball and the image would exist on the back side of his eyeball perfectly focussed. This would be a virtual image as if you were using a telescope. In an SLR camera there is another lens we have not mentioned. It is the first lens you see looking through the eyepiece. It is the diopter corrector and is used to allow people with corrected vision to adjust for their differences, with and without glasses. This is the most important lens you have to worry about when doing a manual focus. You have to make sure this is the easiest image to see when your eyeball lens is at rest. Here is where the old man has an advantage on the young man. As the eyeball ages the lens becomes less compliant and able to shift focus. Bifocal glasses are used to accommodate near and far distances. The young man looks through the viewfinder and sees two images superimposed and focuses on the far image outside the camera. The image looks sharp to him but the reference plane representing the image sensor in the camera is out of focus. It is like looking through a dirty window. Yes, you can see the scene outside and the window disappears. If you look at the dirt on the window, the scene goes blurry. The old man's image needs a corrective lens either on the camera or as corrective vision lenses to see at one distance only. To successfully do a manual focus you first have to adjust the diopter correction on the camera to your “prescription” so that the easiest thing to see is the matte glass and markings in the viewfinder. 1 Decide on whether you are going to use your corrective glasses or not. Many people can go either way, but you should be consistent. 2 Make sure the camera lens is totally out of focus. Set the focus to infinity and point the camera to a close object. 3 You may have never seen this adjustment because the eye cup hid it from you. This is shown with the eye cup off. Move the eyepiece diopter adjustment until the markings on the viewfinder are crisp and clear when your eyes are staring out in space or relaxed. The book always reminds you not to insert your finger in your eye. 4 Look again and try to see the texture of the matte glass. Remember the image outside the camera should be completely out of focus so as not to distract you. If you cannot adjust the focus for your eye you can buy the proper corrective lens for stronger prescriptions. Your camera dealer or Internet camera supplier can provide these. For right now use whatever corrective lens you have. The range of focus is: Top of range=distance corrected, bottom of range=mild reading glasses. 5 You are now ready to try to focus on something. Use the pocket target and try to see the geometric patterns on the “Focus Here” line. Rock the focus back and forth to get an appreciation for what it looks like when perfectly focussed. 6 Now try on a typical target with some texture like a plush animal toy. 7 Put “The Move” on it to evaluate on the spot or take the picture to your computer to check. It complicates matters if more than one person will be manual focussing a camera. Theoretically all the users could use driving glasses and they could use the same setting. Anyone with more than a small amount of astigmatism (cylinder) in their prescription should use the camera with their eyeglasses on. What do I do about kids sports and active pictures? Good question. You have one of the ultimate tools at your beck and call. There are pros and cons to each tool. Lets look at the choices. 1 High ISO values. Allows higher shutter speeds and smaller apertures which are more forgiving for marginally focused subjects and depth of field required to capture some near and far subjects at the same time. Forget about noise related to high ISO values. noise is far less objectionable than out of focus pictures. 2 Powerful flash such as SB800 for Nikon cameras. Good for in the gym or outside in the sun. It will double your available light outdoors or even better in the gym. The increase in light allows you to control shadows, stop action, avoid camera shake and reduce aperture for increased tolerance to focus error. 3 Use AF-C mode. For action coming toward you it will increase your success rate over AF-S. You should shoot at wider angles to leave image space to crop for composition. Your subject should be at the center of the viewfinder at the time of the shot. Focus and Frame will not work here unless you can predict where the action will be. Warning, in AF-C mode the shutter will fire even if the camera is not focussed. The book says to check for the focus indicator in the lower left corner of the viewfinder, but with so much going on, this could be impossible. You take your chances and may have some OOF (out of focus) pictures to deal with. 4 Single area focus is my personal choice. The shutter is locked until focus is found in auto focus. Manual focus will fire anytime. 5 Dynamic area focus. User selects focus area manually however if the subject starts moving the other focus sensors become the active focus area and are so indicated on the view screen, This may work for some situations but be prepared by taking a lot more pictures and discard the misses. If you are trying to track your child in a field of others, only you know which is your child, don’t let the camera decide. 6 Closest subject mode. This mode does not necessarily start at the center sensor and will test all sensors to choose the closest. The closest may be the grass on the ground or a fallen child. The scary part of this one is that it is used as the default in most of the preset modes such as Auto, Portrait, Landscape, Sports and night shots. Even scarier, there is no indication of which focus sensor is active. So, beware of using automatic and preset modes if your focus area is not plain vanilla. This is the least desirable in my estimation and many photographers besides me agree. Almost all photographers would encourage you to get familiar with the M, A,S, and P modes of your camera as soon as you can. Only in those four modes do you have complete control of which focus mode you want to use.